Home > PittServes > Sustainability > Get Green Certified! Are you a residence hall student looking to decrease your environmental footprint? Want to compete against your floor mates for bragging rights, and against other floors for prizes? Fill out this certification form to get started, and explore the other pages on this site for tips and tricks to boost your score! Each activity is worth between one and three points, if you score at least 70% of the possible points, you’ll become a Green Certified Residentand receive an e-certificate! If 50% of your floor achieves Green Resident Status, together you’ll be a Green Certified Floor. Not only do all Green Floors get a sweet certificate to display, but the highest scoring floor also wins a zero-waste finals party complete with dinner from a Sustainable Pittsburgh Restaurant! Have you considered composting and recycling during and after your event? Can you provide agendas or material electronically instead of printing? Are you providing your guests with vegetarian and vegan food options? If your event is outdoors have you requested the WaterMonster? Post to the Pitt Food Share to get rid of excess food after your event! Click here to view and download a “How To” guide for Green Event planning! Ready to Green Certify? FOLLOW THIS LINK! 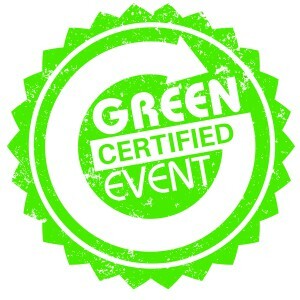 How do I green certify my event? Click the hyperlink to fill out the application for Green Event Certification. The application will walk you through greening every part of your event.